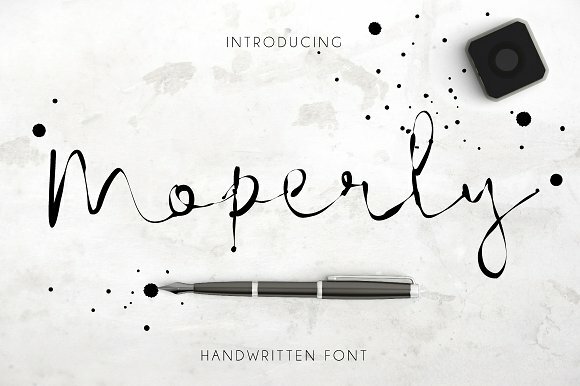 Moperly Script is an elegant ink pens style font created and released by Mellow Design Lab on 2017-04-25. Ideal for branding, invitations or for your small business, book covers, stationery, marketing, magazines Moperly Script comes in OTF, TTF, WOFF and WOFF2 formats. Enjoy it, it’s beautiful. A font description published on Wednesday, June 21st, 2017 in Fonts, Mellow Design Lab, Script by Andrei that has 2,440 views.